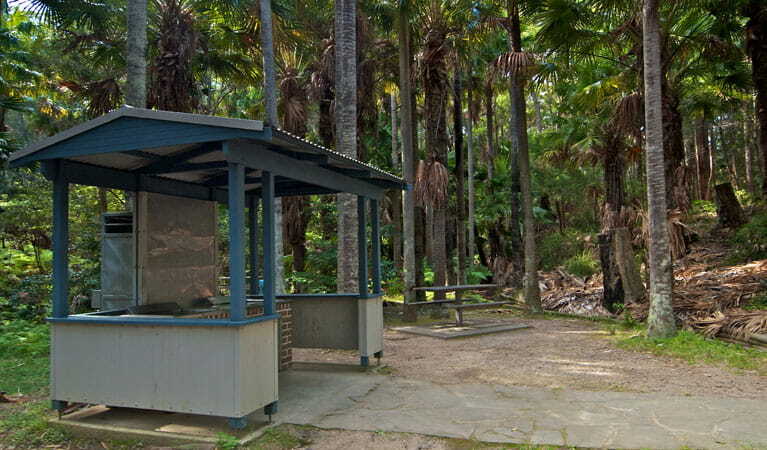 Hidden away in a grove of shady palms with free barbecues and picnic tables, Palms picnic area is a little haven you might want to keep under wraps. Munmorah State Conservation Area is open between 5.30am and 9pm (daylight savings time) and 5.30am to 6pm (other times). While away a couple of hours in this shady, secluded Munmorah haven. 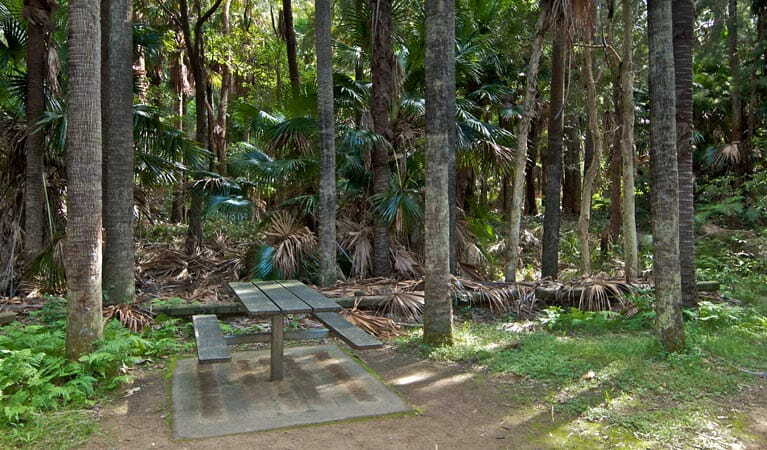 With cabbage tree palms enclosing the area, it’s a peaceful and intimate setting for a barbecue or picnic. 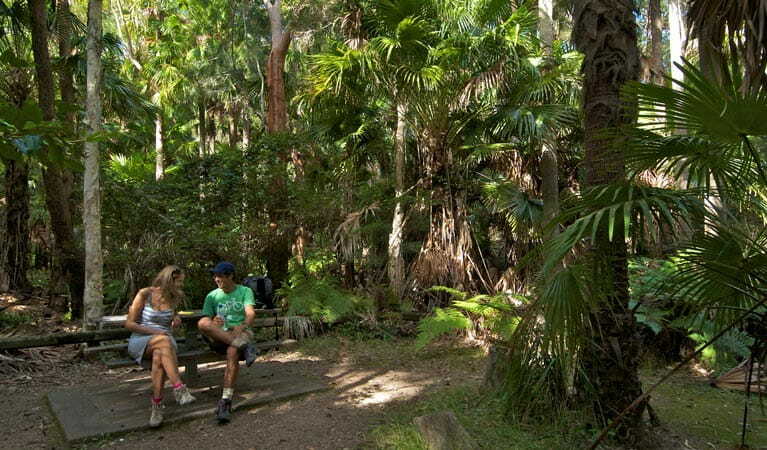 Before you settle in, or after you’ve lunched, why not explore the surrounding rainforest with an amble along the pretty Palms circuit track? 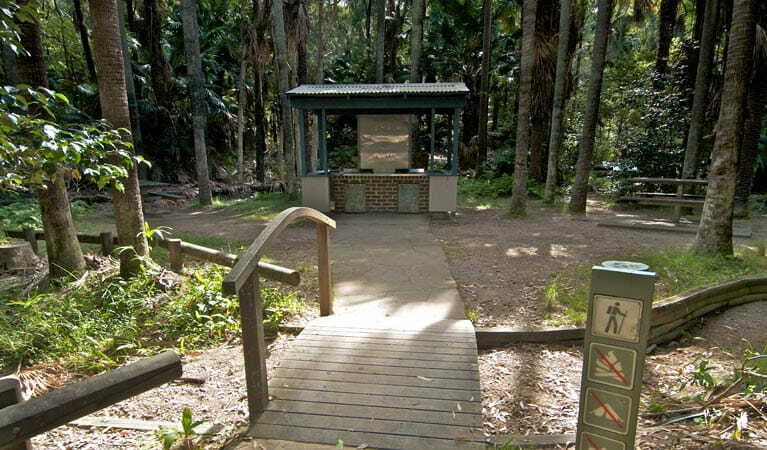 The short loop walk starts and finishes right here at the picnic area. Free gas barbecues and several picnic tables add to the appeal of this delightfully positioned picnic spot. Munmorah State Conservation Area is open 5.30am–9pm, from the start of the NSW school holiday period in September (Friday) until the last day of the NSW autumn school holidays. 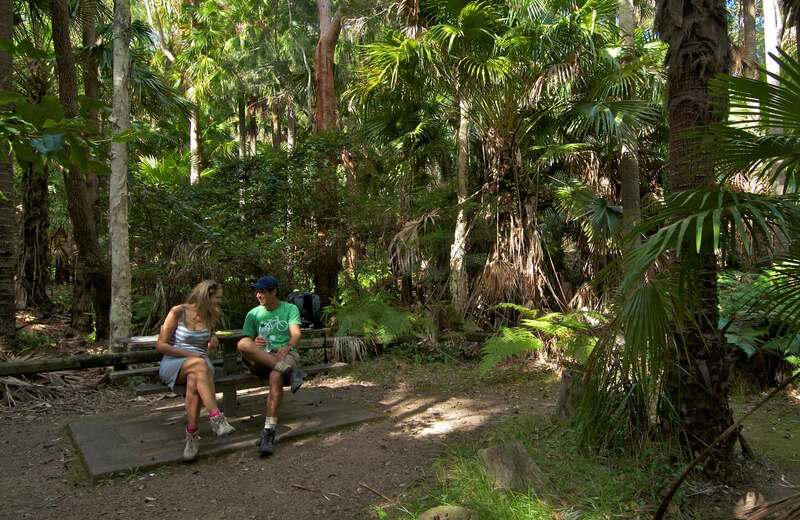 Munmorah State Conservation Area is open 5.30am–6pm, from 1 May until the day before the start of the NSW September school holidays (Thursday). $8 per vehicle per day. The park has pay and display machines - please bring correct coins (cards accepted).